It's all hands on deck at Bundaberg Rum with every premium and award-winning liquid quality controlled by 34 passionate team members before reaching your lips. 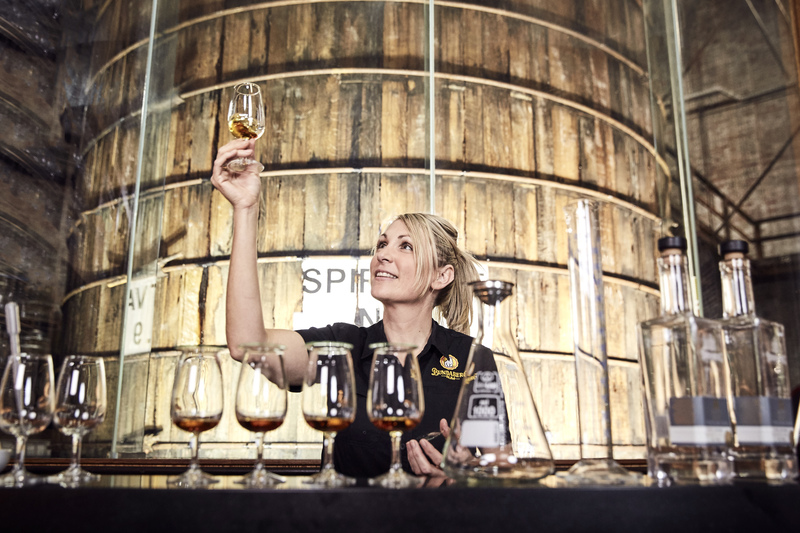 From Master Blenders, who are experts in developing complex flavour profiles, through to the skilled Bundaberg Rum Bar staff pouring you a drink at the end of your Bundaberg Rum Distillery Tour, crafting an award-winning rum and experience takes a healthy shot of teamwork and mateship. Bundaberg Rum is a single estate distillery meaning that the golden liquid is made entirely on site from start to finish. The dedicated team ensure consistency and perfection in every crafted blend from the classic Bundaberg Rum Original U.P to the award-winning Master Distillers' Collection Solera. Master Blenders work tirelessly experimenting with a variety of rums matured in different barrels and vats to add complexity to the award-winning liquids and craft the world's best rum. For those seeking to immerse themselves in the craftsmanship behind Bundaberg Rum, there is nothing in the world like the Blend Your Own Rum Experience. A must-do for any rum lover, the experience gives you the hands-on opportunity to become a Master Blender, learning how to craft your own signature blend from expert rum blending guides. Located in the wold-class Barrel House, which was converted from a section of a working bondstore, this atmospheric and exclusive experience allows you to indulge in a personalised blending experience like no other. Where Can I Blend My Own Rum this Winterfeast? This Winterfeast Bundaberg Rum is hosting the first ever Blend Your Own Rum MasterClass. Guests will immerse themselves in the history of Bundaberg Rum over a cold lazy bear as they tour the interactive Bundaberg Rum Museum before moving into the alfresco area to start. The MasterClass will run for an hour teaching guests how to taste and blend their own signature recipe from different matured rums. Guests will leave with a personalised bottle of their self-blended rum to enjoy later. How Can I Experience More? With several tour options available, visit the friendly staff at the award-winning Bundaberg Rum Visitor Experience to find out which experience is right for you. You can purchase a range of Bundaberg Rum from the Distillery Retail Store, including several distillery exclusive liquids such as the award-winning Solera. You can also try a glass or two of the famous rum at several local cafes and restaurants around Bundaberg.